We are a small family business, working tirelessly to serve our clients and improve our community. Come see Burns, Gray & Gray today for help with your legal matters. We handle Traffic Offenses, DWI/DUI, Personal Injury, Civil Litigation, Workers Compensation, Real Estate, Social Security Disability, Business Law, Wills and Estates, Family Law, Criminal Defense, and Elder Law and Medicaid Planning. 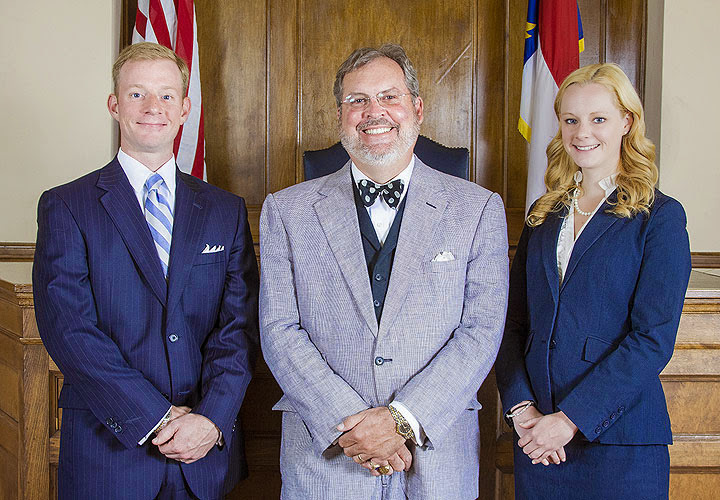 Burns, Gray & Gray is a general practice law firm located in the heart of historic downtown Monroe, North Carolina. Especially relevant is that legal issues can have serious implications and impacts on your day-to-day life. So we work tirelessly to deliver the best possible outcome on your behalf. And our lawyers are dedicated to providing our clients with the highest quality of legal services. In addition, we pride ourselves in the professionalism and commitment that we put into every single case. Furthermore, our firm has a combined experience of over 40 years in a vast array of legal matters. So, give Burns Gray & Gray, lawyers in Monroe NC a call today and let us help you with your legal needs. Lawyers in Monroe NC representing clients in Union County, including Weddington, Matthews, Waxhaw, Marvin and the Greater Charlotte Area for over 30 years.